In this blog you will find the pictures and stories of women and girls who are working together to enrich their lives. These are stories of leaders, risk-takers and the truly fabulous! Having the chance to meet and connect with these fabulous people all got started when we launched mentorSTEM. Our program provides mentoring and enrichment activities for young girls to help them grow strong mentally and physically, in full support of the goals of the White House Council on Women and Girls. On March 11, 2009, President Obama signed an Executive Order creating the White House Council on Women and Girls. In his remarks at the signing, the President underscored that the purpose of the Council is “to ensure that each of the agencies in which they’re charged takes into account the needs of women and girls in the policies they draft, the programs they create, the legislation they support” and that the true purpose of our government is “to ensure that in America, all things are still possible for all people.” The White House Council on Women and Girls, has as its members the head of every federal agency and major White House office, so that everyone shares in this responsibility. 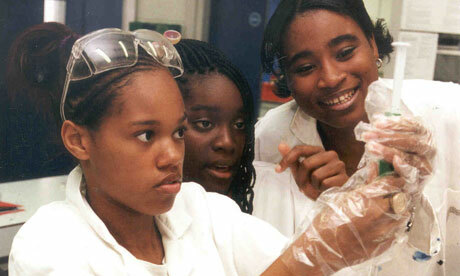 In partnership with the U nited States Department of Transportation, the mentorSTEM Program provides ongoing “group mentoring” and enrichment activities for young women to help them grow strong mentally and physically and to introduce them to career opportunities in Transportation and in Science, Technology, Engineering and Math (STEM). Mentors and students participate in pre-planned group activities to share lessons learned, life experiences, and professional insights. This year marks our fourth year of the program and the continuation of our special partnerships with the US Department of Transportation, General Electric, WTS Transportation YOU and TransTech Academy at Cardozo High School.